Losing revenue due to down time on your gyms? Solution: Ultra Sport and Ultra Sport II finishes dry in one hour, under normal conditions, are 70% cured in just 24 hours and 100% cured in 72 hours. 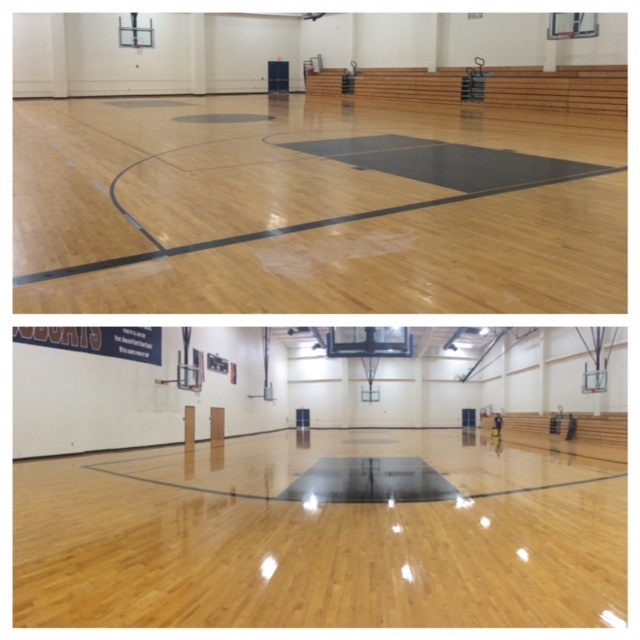 For example, prep Friday morning and apply coating, gym back in full service Tuesday morning. 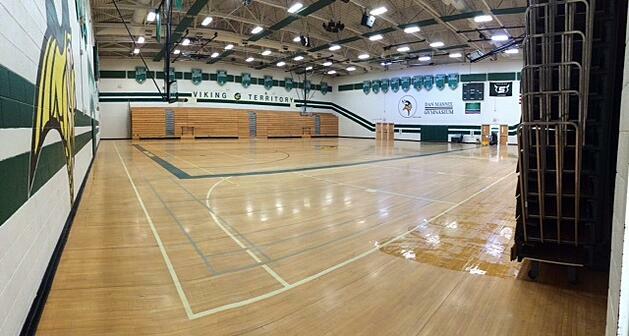 This allows the gym to be open for traffic and back in full service quickly, 2 actual school days. 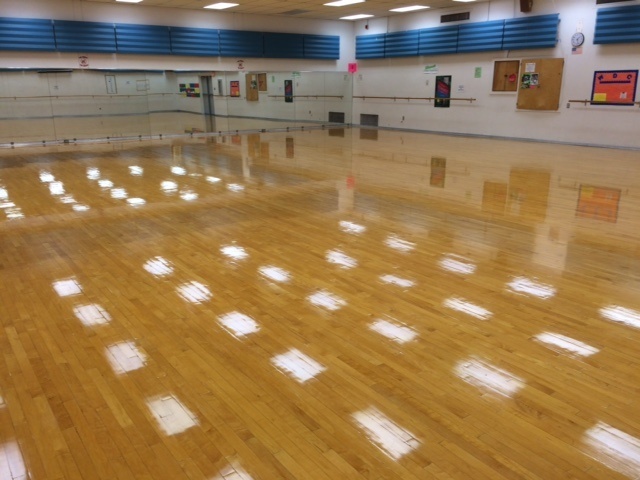 The Ultra Guard products can therefore increase revenue dramatically by opening your gym 5-10 days sooner than with other gym floor finish systems. This can generate as much as $1500.00-$2,000.00 in additional revenue for your school. Costly recoating procedures costing you valuable labor? Solution: From year 2 on, using our Ultra Guard products, no more labor intensive screening. A simplified floor preparation process, using standard VCT floor care equipment, SPP (Surface Preparation Pad) pads, allow for significant labor reduction. 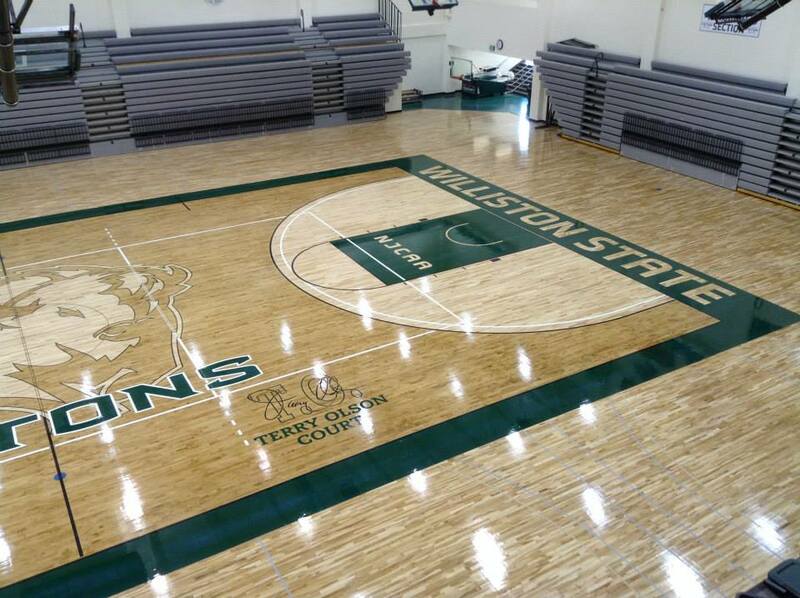 In most applications, Ultra Guard Premium Wood Care Program can produce more than 35% in overall savings to a customer when compared to other gym floor systems on the market. 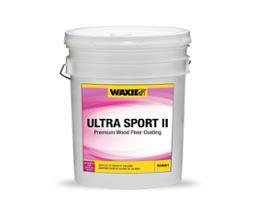 Our WAXIE Ultra Guard Wood Finishes are high performance water-based urethane/acrylic wood floor finishes engineered to provide long lasting beauty and protection to all wood floors. They are easy to apply and work well with most applicators. 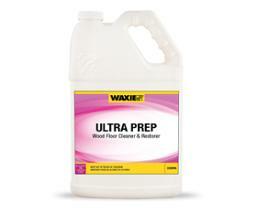 Waxie Ultra Guard Wood Finishes offer excellent gloss, black mark, scuff, and soil resistance and are uniquely restorable using standard high speed burnishing equipment. 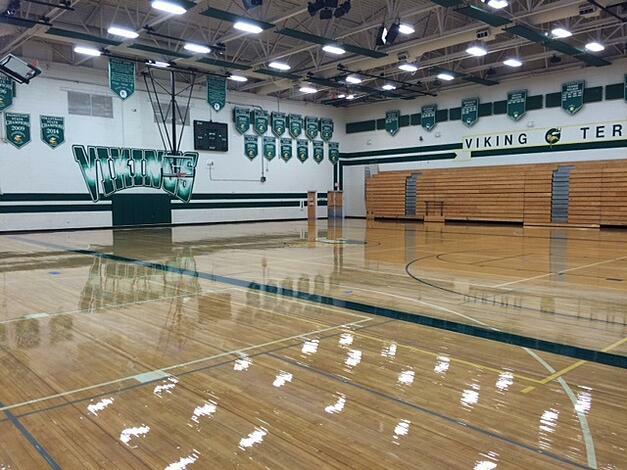 They also meet or exceed all federal and state regulations for VOC content, are slip resistant per ASTM D2047 standards, and are MFMA Certified for use on gym floors. 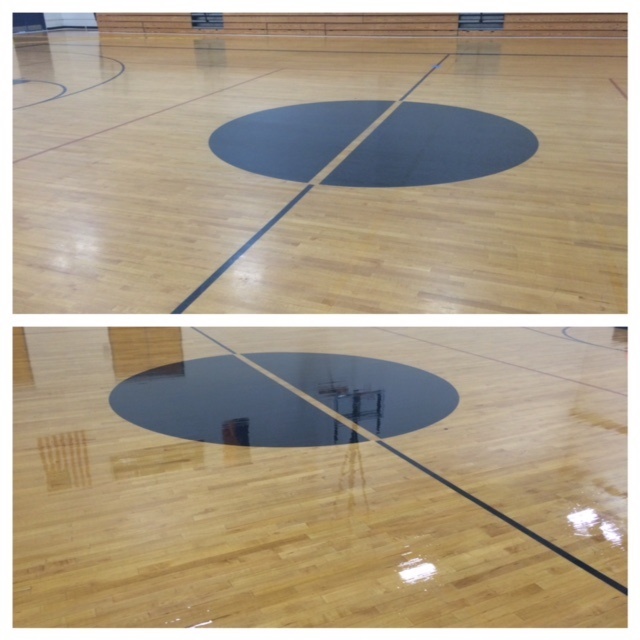 Lack the staff, equipment, or the gym floor recoating experience to properly recoat your wood floor? 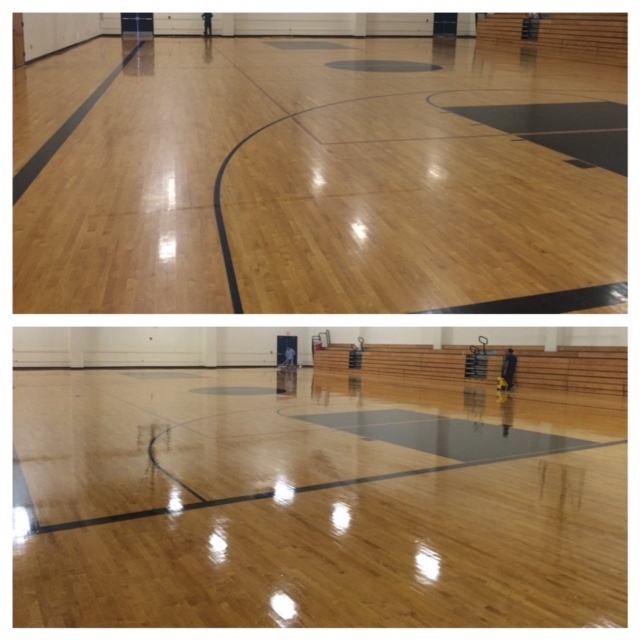 Many facilities do not have the staff, equipment, or the gym floor recoating experience to properly recoat wood flooring at their facility. In many cases, there is simply not enough time to get this important process done at a facility, due to workloads being far greater than the staff they have to handle it. The ProFormance program has been designed to bring MFMA Accredited installation companies, MFMA Allied seal & coating manufactures together in partnership with distributors that support the end-user customer every day. All while providing a price point that makes sense for everyone involved. Take advantage of the ProFormance program… it’s as easy as 1-2-3. Send the form to the email address listed on the bottom of the form, and retain a copy for your records. A representative from the ProFormance wood floor contracting company will be in contact with 48 hours, Monday through Friday. ProFormance Wood Contractor is a CMAS contract holder for schools. 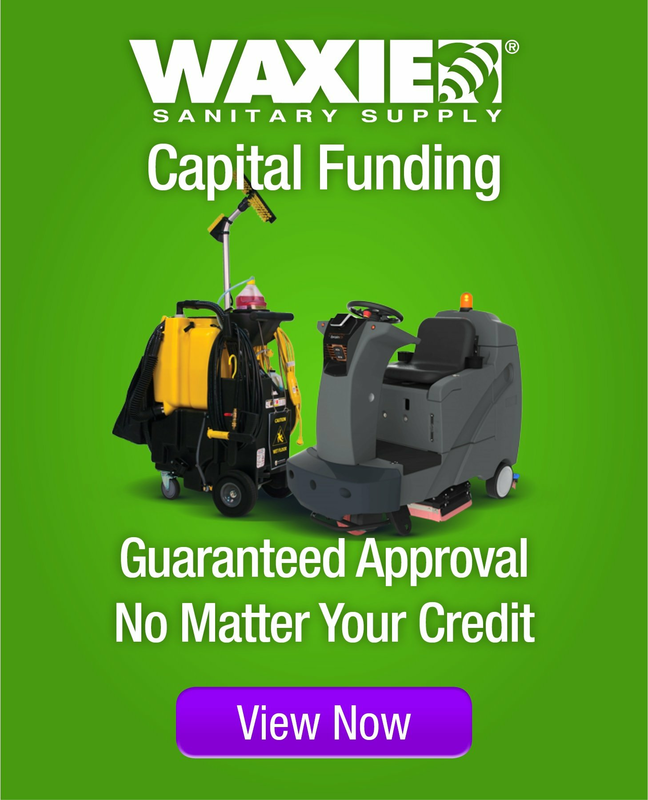 For more information about our Waxie ProFormance Wood Floor - Contractor Support Program, contact your Waxie Sanitary Maintenance Consultant. Sand screening, tacking twice, waiting for the dust to settle, tacking again – all this leads to extra hours of labor. With WAXIE Ultra Sport, you clean and degloss the surface with a maroon pad and WAXIE Pure Rejuvenator, rinse with WAXIE Ultra Clean and let dry. Simple, effective and labor saving. Most wood coatings are hard to apply – requiring special handling and procedures. Not WAXIE Ultra Sport. It doesn’t need catalyzing; it flows and levels beautifully and dries in about an hour under normal conditions. 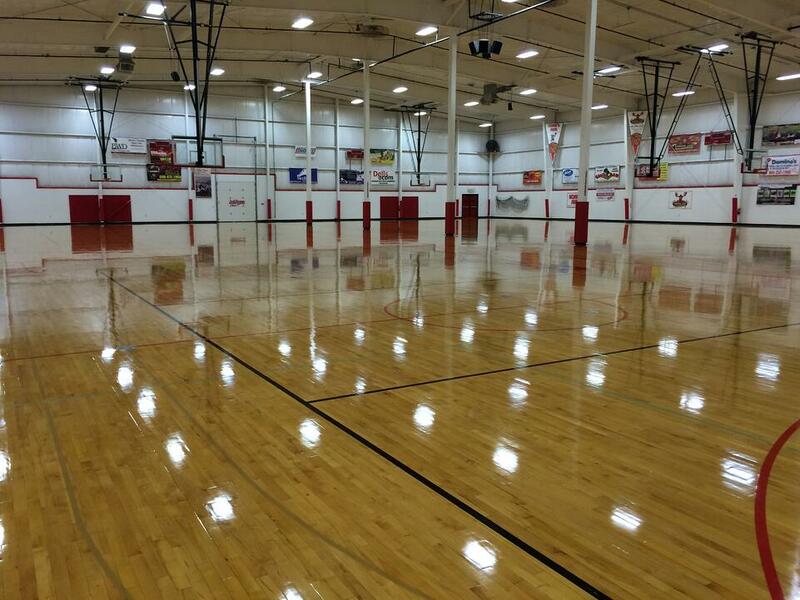 Best of all it cures quickly with most gym floors usable the day after application. California has the toughest VOC’s laws in the country. WAXIE Ultra Sport is VOC-compliant across the entire state, including the South Coast Air Quality Management District. 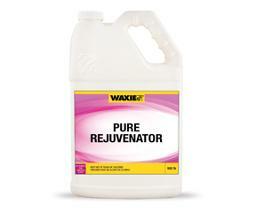 WAXIE Ultra Sport’s VOC is less than 250 grams per liter. California was the first state to enact its own VOC standards through CARB (California Air Resource Board). The VOC limit under CARB for varnishes is 350 grams per liter. A smaller district within CARB known as the South Coast Air Quality Management District (SCAQMD) implemented a VOC limit of 275 grams per liter for varnishes as of July 1, 2006 and simultaneously eliminated the quart exemption. WAXIE Ultra Sport is VOC-compliant across the entire state, including the South Coast Air Quality Management District. WAXIE Ultra Sport’s VOC is less than 250 grams per liter. WAXIE Ultra Sport uses an advanced reactive urethane/acrylic blend that cross-links to an extremely high gloss, durable coating. 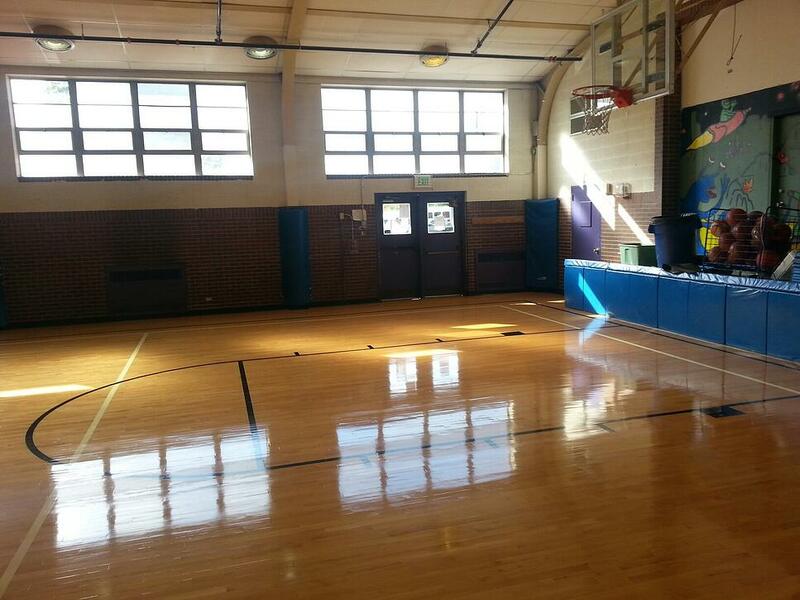 Great for gymnasiums, racquetball courts and fitness floors.